Limited Editions and custom paint jobs are all the rage in the tennis world, and Angell does not want to miss the bandwagon. 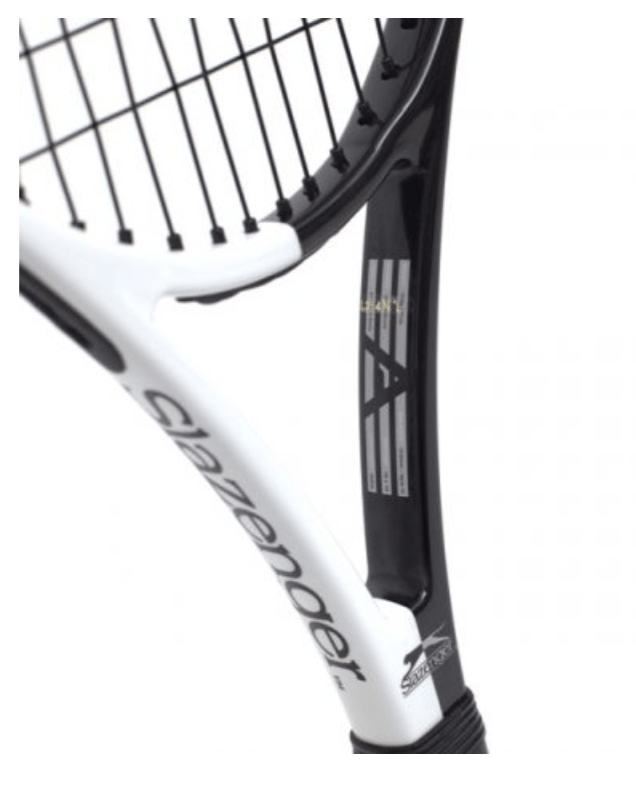 Together with Slazenger they release a take on the legendary Slazenger Pro Braided racquet, made famous by Tim Henman. 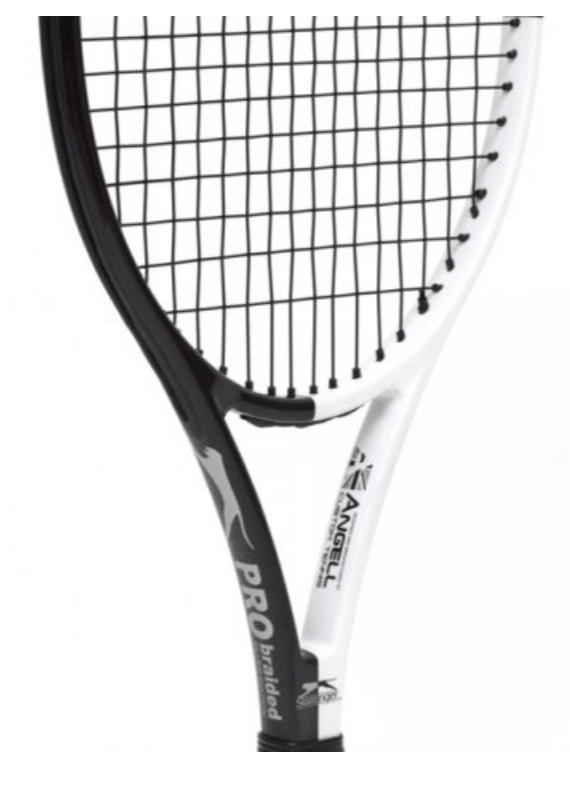 It is called the Angell Slazenger Pro Braided Silver. The original Slazenger Pro Braided silver was a 95 sq inch, stiffer racquet that was excellent for serve-and-volley players like Tim Henman. It had a 16×18 string pattern, was 4 pts head light strung and had a 330 swing weight (the weight was 310 grams unstrung!). Now Slazenger has commissioned Angell tennis to create a limited edition version of the Slazenger Pro Braided but based on the Angell K7 Red (read my review here). The specs are basically a slightly heavier K7 in a black/white paint job. So if you like the Angell K7 Red (which I do) and just want a 5 grams heavier package and a different paint job – this is your chance! There are limited quantities of the Angell Slazenger Pro Braided Silver, so you probably need to act fast if you are a Tim Henman fan or just like this harlequin-inspired paint job. You can find the Angell Slazenger Pro Braided Silver version here. 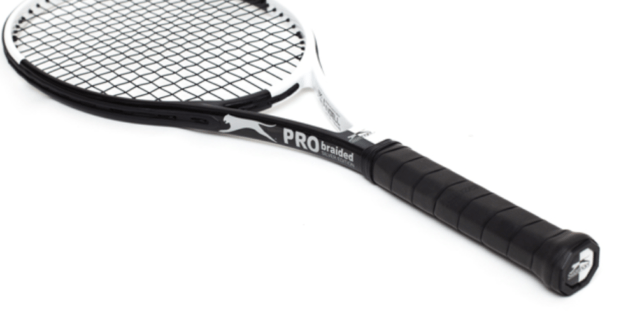 What do you think of the Angell Slazenger Pro Braided Silver Limited Edition? Are there any legendary sticks that you would like to have brought back? Please comment below. Comparing with the k7 red this racket has more power or control? late on this but I have just ordered this K7 Slazenger format. I have a K7, love it, have been meaning to buy a second one, and the look of this black and white harlequin paint job is irresistible ! !